During the recent June heatwave in Vancouver, we've gone for hot pot (twice!) and ramen despite the torturous sweat beading down our cheeks. What else could we do to stare into the eyes of fear? 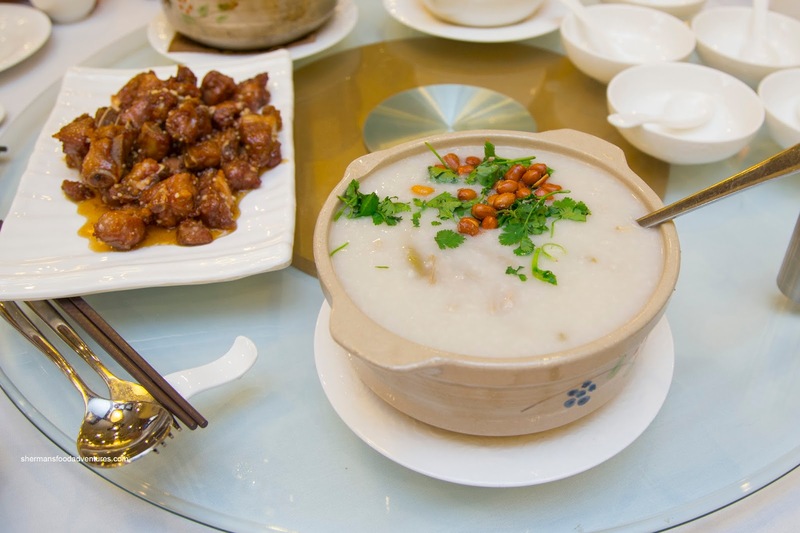 How about head over to Richmond for some congee? 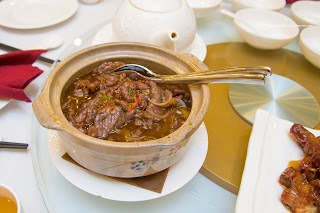 Well, I'm not sure what was scarier, the hot congee in 27 degree temperatures or face the onslaught of poorly-driven luxury vehicles. Well, after 2 people cutting me off (caught it on my dashcam so I have proof! ), I guess my usual "welcome to Richmond" initiation was complete. 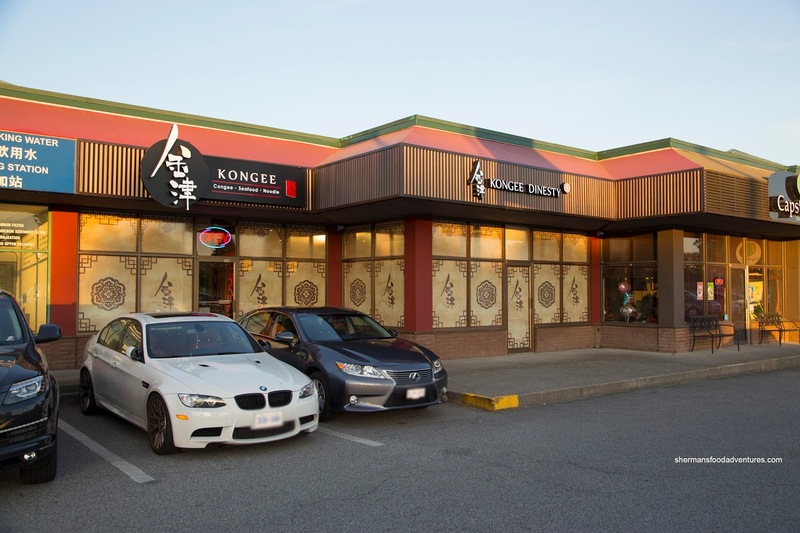 So with a place called Kongee Dinesty, we could ascertain one of two things - either they can't spell (like all Chinese menus) or we really should try their congee. That we did with full customizable options including toppings, ingredients and broth base. We didn't stray too far from the regular and opted for the Preserved Egg and Salted Pork Congee with cilantro, peanuts, mustard greens and ginger in a seasoned broth base. As much as the bowl of congee was on the more expensive side, we felt it justified the cost since it was well-executed. It was silky and thick while still sporting some textures including the ample amount of egg and truly salty pork. 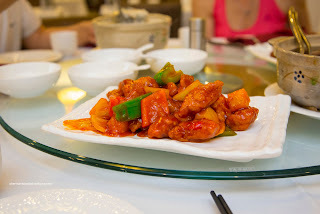 We ended up getting 5 dishes to share including Milhouse's favourite, Sweet & Sour Pork. Although a bit on the saucier side, the flavours were balanced. With a crispy exterior, the big chunks of pork were juicy and meaty in an almost pork jowl manner. The only thing I'd change with this dish was the thickness of the batter (could've been thinner). 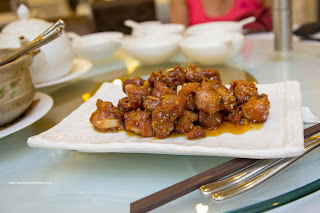 Next up was another pork dish being the Honey Garlic Spareribs. This was another well-executed offering where the pieces of rib were meaty and easy on the cartilage portions. There was an appealing chew to go with the rebound texture of the meat. Generally, this dish can be pretty sweet and over-sauced, but this wasn't the case here as there was just enough clinging onto each rib. It wasn't overly sweet where the garlic really came through. Boss Woman insisted on the Scrambled Eggs and Prawns which turned out to be a fantastic choice. 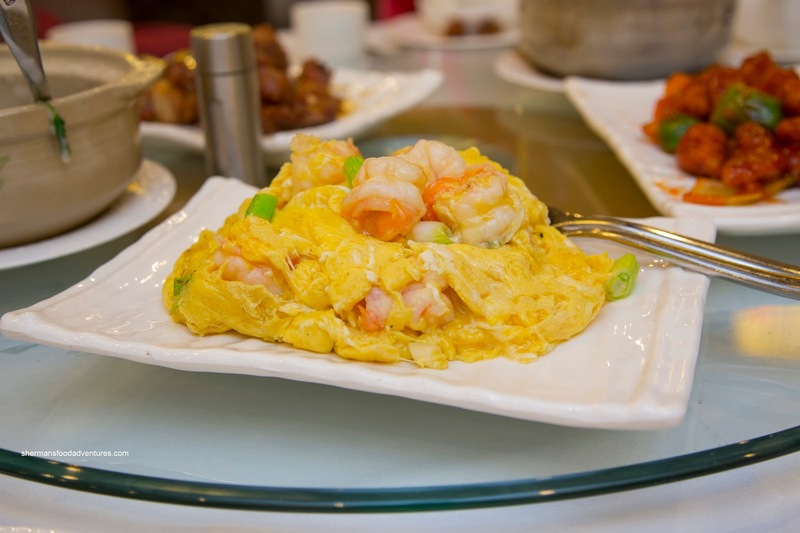 Blessed with large butterflied prawns, the dish featured silky eggs that were just barely cooked. The dish was well-seasoned without being salty nor too sweet. There must've been as many prawns as egg on the plate. Moreover, the prawns were natural-tasting with a meaty snap. My choice was the Satay Beef with Vermicelli Hot Pot because why not eat something sizzling in hot temperatures right? Hey, what do you think people do in Vietnam? They eat Pho all the time in the heat! I digress... This was deceptively large in portion size as the pot was deep. I found the vermicelli to be on point in texture where it had enough moisture to be soft without becoming mushy. Furthermore, the addition of red chilis helped amp up the spiciness of the dish. 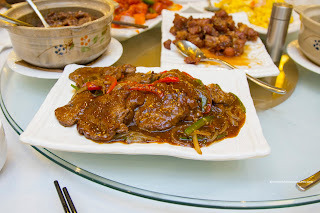 As for the beef slices, they were tenderized properly where there was still a meaty texture while being tender. Our last dish was the Beef Tenderloin with Black Pepper Sauce. Presented with large slices of beef, this dish was also deceptively filling. I particularly liked the natural meat texture (as it wasn't over-tenderized) while at the same time being super soft. I found the sauce to be peppery, but could've been more so. Overall, we enjoyed our meal at Kongee and felt the prices were in-line with the quality.